Hi all. Today I want to give my top tips on how to grill like a pro. Yes, even you can grill like you are one of the top pitmasters on the competitive barbecue circuit without ever leaving your own backyard. All it takes is a little planning, preparation, and practice. Even novice grillers can cook like a champ if you follow my tips, but be warned before you know it your BBQ will be in high demand and you will be the hit of the neighborhood. This includes the main dish and any side dishes you will be serving with it. The questions to ask yourself include; are you feeding a big party or having a small family dinner? Are you cooking hamburgers and hot-dogs for the neighborhood kids or are you just throwing a quick steak on the grill for one? Do any of the attendees have any type of food allergies or prefer one kind of meat over another? Knowing your audience will go a long way towards picking out the perfect meal. Once you know what type of food you will be serving, the next step will be picking out your recipes. I have a lot of go-to recipes I use for different dishes, but many times I’m feeling bold and want to try something new. (I always try to do a practice run on anything new before the actual gathering.) Your best resources for new recipes include the internet, friends, and family. I’m always on the lookout for a new recipe idea. Once you have decided what you will be cooking, your next step is figuring out which cooking method you will be using. For small meats like steaks, hamburgers or sausages, this would be fast and hot grilling (direct heat). For bigger meats like brisket, roasts or pork shoulders, slow and low is the ticket (indirect heat). Other methods include smoking, grilling on wood planks, salt slabs or rotisserie grilling. Knowing your food and choosing the correct cooking method is key. Yes, you read that right. YouTube it. The internet is a wonderful thing. There are so many amazing tips and ideas right at your fingertips and YouTube is a great resource. I can’t tell you how many videos I have watched about different grilling techniques over the years. Whenever I am planning a new or big co, I YouTube it. I have learned so much just by doing a little research. Before any grill, you should always check to make sure your equipment (whichever type of grill you intend to use) is in working order. An equipment failure or low propane tank at an inopportune moment can spell disaster. It is just as important to have the right equipment for the cook as well. Whatever type of grill, smoker or pit you have, you should understand it inside and out. You must know what it’s capable of doing and what its shortcomings are. Are you using the right type of grill for your intended cook? Do you need a grill capable of smoking? Do you need a grill that can reach ultra-high heat for searing? Does your grill allow for indirect cooking? You must be able to match your grill to the grilling technique that is called for. You must also know your fueling method. This is not so much the case for gas grills but for charcoal grills, you should be ready. 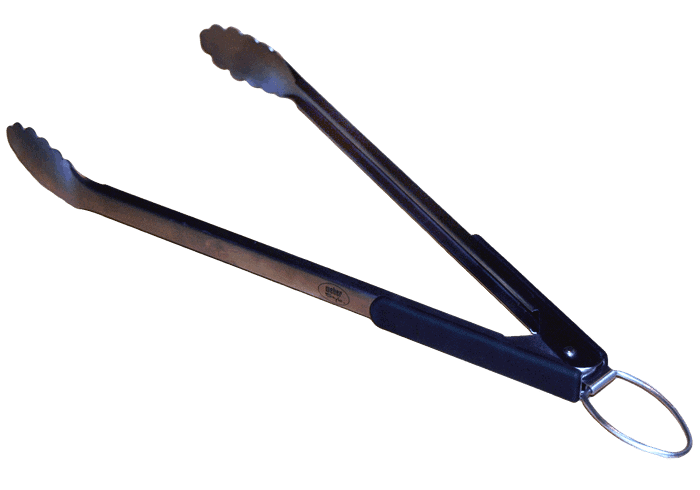 Different methods include a chimney starter, fire starters, electric charcoal starters or even rolled newspaper. I never suggest using lighter fluid as this can add a bad flavor to your food. Get a good grill thermometer and a meat thermometer too. Do you need a spatula or tongs? Use the correct accessories for the different types of foods you will be cooking. This is not just for convenience sake, it is for safety purposes as well. Make a list and check it twice. Write down all the food and ingredients you will need for your planned cook. Also add anything else you may need like more fuel, any missing tools or equipment and don’t forget your favorite grilling beer. Having the right BBQing beverage can make all the difference in the world. 🙂 Get to know your butcher and don’t be afraid to ask questions. They can help you in picking out the best cuts, give you tips on trimming methods, recipes, and seasoning ideas. They can also place orders for specialty meats and cuts for the big day. Lastly, make sure you shop for only the freshest ingredients. As I mentioned earlier, if I am trying a new recipe, technique or particular cut of meat for the first time, I always do a test run first. The last thing you want to do is make your guests the guinea pigs in your latest experiment. Being familiar with your cook will go a long way. They will thank you later, I guarantee it. Organize and prep (wash, trim, oil, and season) everything in advance and place on a cooking sheet so it is ready for the grill. I usually like to do this the night before. Being organized will help you to enjoy your grilling session and making it just that much easier. Season and sauce with restraint. Let the meats natural juicy flavor shine through. I usually only use a different combination of salt, garlic salt, black pepper and cayenne. Or you can see a list of my favorite rubs and sauces here. Clean the grill completely making sure to remove any grease or ash. Old grease can cause bad smoke that can add a bad taste to the food. Brush the grill before using it. Remove any trace of the last food you grilled. These remnants can affect the meat’s flavor and block airflow, which is needed by charcoal to burn well. I mentioned before that I never use lighter fluid or matchlight type charcoals as this can add a bad chemical flavor to your food. I highly suggest you avoid it and use only natural lighting methods or fuels. You want to be able to taste the meats natural flavor, not the chemicals. 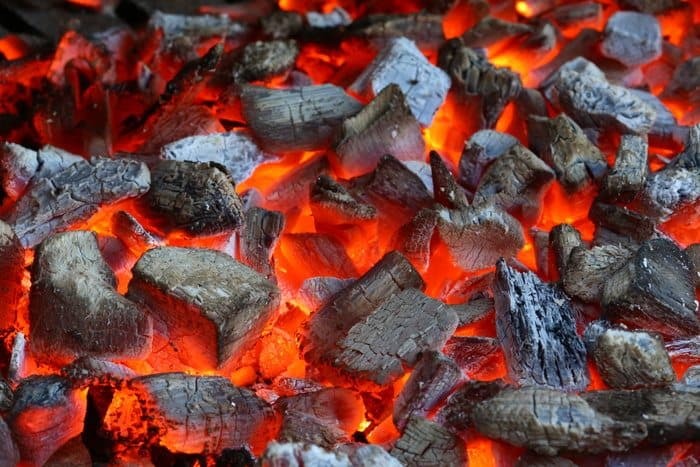 Let your charcoal burn down and let the briquettes get to a nice white-hot color before adding food to the grill. If there are still flames or you don’t see any ash on the charcoal, it is not ready. Don’t rush it; get your charcoal working a minimum of a half hour before you plan on grilling. Start cooking too early can cause uneven temperatures, add too much bad smoke and cause flare-ups that can ruin your meat. Manage your fire by using the vents on charcoal grills and proper dial settings on gas grills. This may take a little trial and error but can be mastered with practice. This is another example of where knowing your equipment and doing test runs make a big difference. Make “grill zones” to help control the heat. I can’t stress enough the importance of using a grill thermometer. I have never seen a charcoal or gas grill with a half decent built in thermometer, not to mention, they are located in the lid. You want to know what the temperature is on top of the grate as that is where the meat is, not at the top of the lid. Most of the time you are overcooking your meat and you don’t even know it. Never walk away from your grill. Make sure you have everything you need close at hand before you start. Turning your back to get another beer or glass of wine only to return to a flare up and singed meat can ruin the day. This especially applies to short and hot cooks like steak. 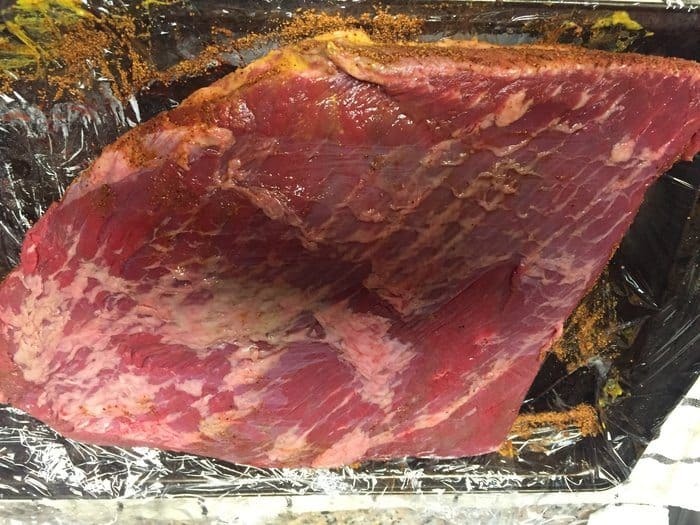 If you are doing a low and slow cook like brisket, you will still need to check often to make sure your temperature has not risen or fallen too much. Losing your focus now after all the time and planning you have invested could lead to disaster. It’s always better to under cook than over cook I always say. You can always return the meat to the grill if it needs a little more fire but you can never “un-cook” food. Using a good instant read thermometer or meat probe can save you a lot of headaches and take all the guesswork out of your grilling. You wouldn’t want to eat dried out shoe leather now, would you? If you grilled a bigger piece of meat like a tri-tip, for example, you always want to carve against the grain. How do you tell which way the grain is running? Here is a little trick I use, especially if you’re like me and have trouble figuring it out after the meat has been cooked. Before grilling the meat, locate which direction the muscle fibers are going and mark the end where you would be cutting against those fibers. I do this by either notching the corner of the meat or by putting a toothpick in that spot. Cutting against the grain also helps add to the tenderness of the meat. By cutting against the grain, you will be severing and shortening the muscle fibers which makes it easier to chew through. As always, if you ever need any feedback or support regarding your next barbecue, I would be more than happy to connect. If you have anything interesting you would like to share or any opinions on any of the content above, please speak up. I love feedback and honest discussions in any form. I hope this information was helpful to you and you are one step closer to joining me in “The Grilling Life”! There is a ton of information here about grilling, that reading through it once is just not enough. It seems like you have covered almost every aspect of grilling, that will help beginners like myself. I’ve tried grilling a few times, and I can tell you that it’s no easy feat. I really need to check if I have the correct type of grill and fueling method. I hope you’ll cover more on this in your next article. Hi and thank you for comments. Grilling correctly could be a challenge but one easily learned with a little knowledge and practice. I will be working on future articles covering those exact topics so I hope you check back from time to time. In the meantime, if you ever have any questions or need a tip or two, please don’t hesitate to ask. I am always happy to help out. Happy Grilling. The carnivore in me responded with much salivating to this post. Oh, yum! Love the pictures! Hi Netta. Thank you for taking the time to read my article and for the feedback. I appreciate it. Let me know if I can ever repay the favor. Wow! I love that picture of the giant piece of meat. Really makes my mouth water. A lot of people can’t grill or fry meat correctly and I’m one of them. As much as I love a great piece of steak, I never seem to be able to cook it just right, even if I buy top quality meat. I’m going to give your tips a crack and see how my grilling turns out now. Looking forward to savouring the results. Hi Darren. I know what you mean. It seems so simple but it really can be a challenge. I think my tips may be of some help but if not, let me know and I will be happy to help in any way I can. Thanks for taking the time to look over my site. It is much appreciated.